In Matthew 17:21, Jesus said that a certain evil spirit does not go out of a person except by prayer and fasting. 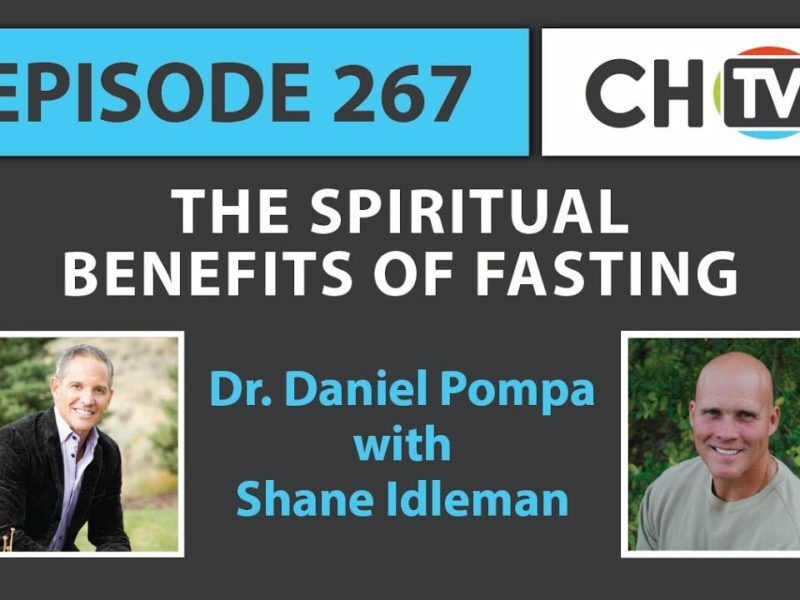 Some manuscripts disagree on whether this verse should be there or not, but the principle is found throughout scripture: Fasting applies pressure to the spiritual realm. Arthur Wallace notes, “Often, pressure has to be maintained before there is a breakthrough in heavenly warfare.” It appears that some demonic activity is not released until pressure is applied through prayer and fasting. Two wills cannot successfully live in the same body—our self-will and God’s will. We can’t defeat what we feed. First John 2:16 (NIV) states, “For everything in the world–the lust of the flesh, the lust of the eyes, and the pride of life–comes not from the Father but from the world.” Society says, “Be yourself! Embrace your longings! Feed your desires!” However, we know that gluttony and indulging the flesh never lead to spiritual victory, or any victory for that matter. Some strongholds hang on piece by piece. We must “resist the devil” and he will eventually flee (cf. James 4:7). Fasting disciplines the body, prayer and worship binds the enemy, and the Word provides wisdom. Fasting ignites a hunger for God as well as direction. Don’t misunderstand, I’m not promoting a works-based religion; I’m demonstrating the importance of spiritual disciplines that produce godly fruit. What is dead in your life that you know God is wanting to resurrect? What dream, goal, or godly ambition is waiting to be realized? Is there a stronghold that has been gripping your life? Do you desire a deeper walk with God and increased spiritual hunger? Do you need help in the area of self-discipline and temperance? Do you need a breakthrough, direction, or peace? Is all hell breaking loose in your life? Are there great obstacles ahead? Then it’s time to prepare for battle through prayer and fasting. Ask God for direction and set a target date. Remove the hindrances within your home such as junk food and junk media—out of sight, out of mind. Fuel the completion of your fast by praying, reading, worshiping, and listening to sermons on fasting. Have a prayer list available. It’s a battle—a hunger strike against hell—it’s challenging and difficult, but the pain of discipline far outweighs the pain of regret. After my first seven-day water fast that I stumbled through, Fox News contacted me to fly to New York to debate a pastor with opposing views on morality. (It can be viewed here: WCFAV.org.) While there, my wife and I also met two strong Christian men who I look up to, Jim Cymbala at the Brooklyn Tabernacle and Kirk Cameron at the Fox Studio, all in two days. Additionally, God grew the church, expanded our reach, and healed old wounds. A perfect fast didn’t do this, but God, through His mercy, honored my feeble attempt, and He will do the same for you. Whether it’s on the radio, television, internet, or at church, we often hear that God has a wonderful plan for our life and that Christianity is easy and carefree. But as Ray Comfort notes, “The preacher promises a bed of roses for those who come to Christ, but those who are in Christ are evidently sitting on a painful bed of thorns.” We have turned following Christ into an easy path rather than a narrow road. We’ve made Jesus a butler rather than a King. We want the cross light, the road easy, and the burdens lifted. Spiritual disciplines are not intended to only break down strongholds, but to also build us back up. Don’t misunderstand, God blesses His people. We should pray for, enjoy, and encourage His blessings. But a wonderful, comfortable life is not always a blessing. As the Bible teaches, the presence and the power of God in our lives is always a blessing: “The Lord gives strength to his people; the Lord blesses his people with peace” (Psalm 29:11). I’m not teaching perfectionism, no one has complete mastery over the flesh, but our goal should be victory rather than constant defeat. Deeply embedded addictions can be reversed by starving the flesh. We are not powerless. We give control to either the flesh or the Spirit. James 4:5 reminds us that our spirit has “envious yearnings.” Do we yield to these yearnings, or do we give in to the pull of the flesh? We will crave more of what we feed. Fasting silences the voice of the flesh.